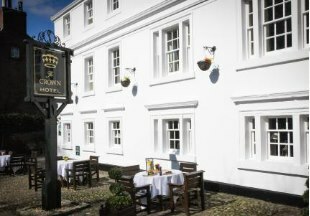 Welcome to the Grade II listed Tufton Arms Hotel, originally a 16th century coaching inn and now an intimate, luxury hotel in the centre of the charming medieval town of Appleby-in-Westmorland. At the heart of our hotel is The Conservatory Restaurant offering fine award winning cuisine. 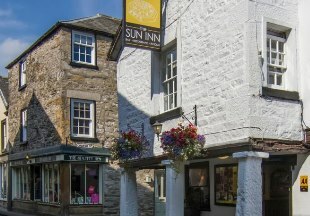 This fine 17th century inn is perfected situated in the centre of the picturesque market town of Kirkby Lonsdale. A wonderful blend of historic and contemporary, the inn features oak floors, log fires and leather sofas. The AA rosette awarded restaurant serves excellent food locally sourced wherever possible. Meals are served in the restaurant or in the traditional bar. Free Wi-Fi. AA 5 Star Inn, Rosette for Food. Built in 1756, the Eltermere Inn overlooks Elterwater, an area of fantastic natural beauty at the foot of the Langdale Valley. Some of the very best walking is from our very doorstep. The hotel's restaurant serves an 'a la carte' menu and our fantastic bar is open for all beers and wines, morning coffee, afternoon tea and exciting bar meals. With a menu which changes daily, we use only the finest of fresh ingredients. Sink into the sofas in front of the log-burner in this stylish 18th century inn. The boutique-style bedrooms offer roll-top baths: some also feature exposed beams and antique furniture. AA Rosette for food. Set beneath some of England's highest fells and overlooking Bassenthwaite Lake, the Castle Inn is the ideal location to explore the northern region of the Lake District. Originally a coaching inn dating back to 1770, the Best Western Plus Castle Inn is now a modern venue with views of Bassenthwaite Lake. Set in the beautiful Lake District, it offers free Wi-Fi, a pool and sauna. Muddy boots, wet dogs and children welcome. 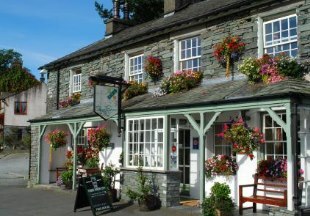 This traditional Lake District Inn nestles in the quiet village of Far Sawrey. Boasts newly refurbished en-suite bedrooms, excellent hearty food, local ales and log fires. 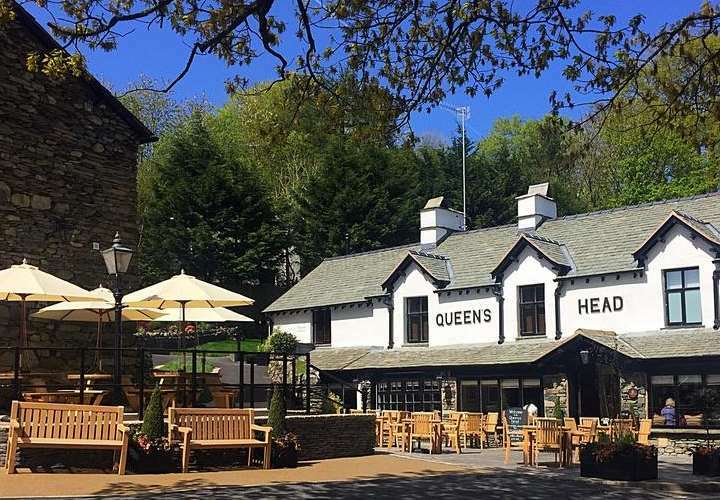 Situated in the Lake District National Park in the hamlet of Bouth, this 17th century former coaching Inn boasts original oak beams, slate floors and two woodburning stoves. 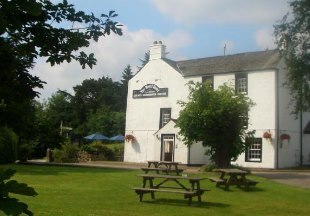 Surrounded by fields, fell and woodland the inn is popular with walkers and mountain bikers. The bar boasts six real ales all cask marque inspected, including Cumbrian brews from Coniston Brewery, Ulverston and Jennings. As featured in the Good Pub Guide 2012 and the Michelin Eating Out in Pubs Guide, this charming and historic inn is renowned for it's food and drink. Only 3 miles from the shores of Lake Windermere. 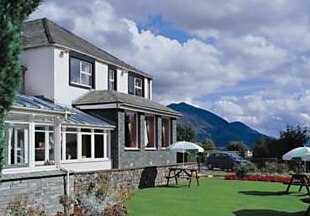 Middle Ruddings Country Inn enjoys a superb situation in the idyllic Lakeland village of Braithwaite. 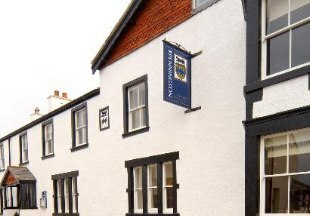 The inn features a friendly bar with a cosy fireplace serving Cumbrian real ales and bar meals. Middle Ruddings serves award-winning breakfasts with freshly baked bread. Rooms at Middle Ruddings feature private bathrooms and some rooms offer balconies and beautiful Lakeland views. Nestled peacefully amongst the Eastern Lakeland Fells and within easy reach of many of the best-loved Lakeland walks, this charming country retreat is ideal for a peaceful break in Dockray. 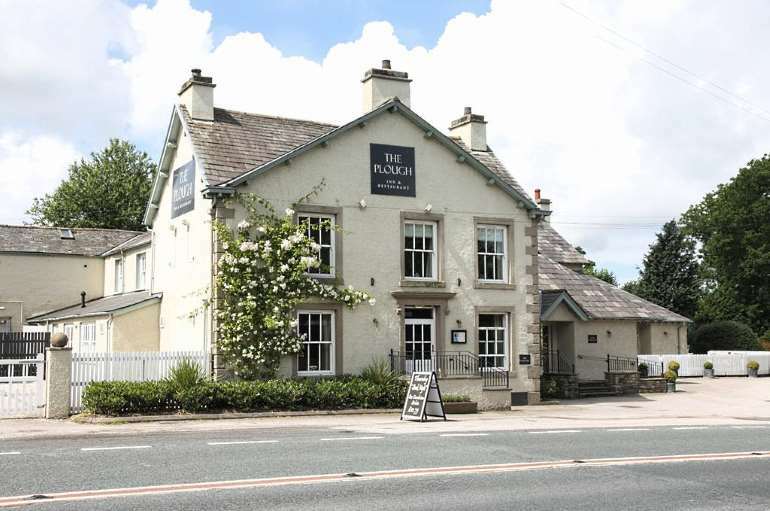 Run by a charismatic and friendly family, the hotel provides a relaxed, informal but efficient service, well suited to the Lakeland way of life. The facilities include 10 en-suite bedrooms, a large restaurant and a bar that boasts a fine selection of wines, locally produced real ales and malt whiskies. The hotel is now a completely smoke free environment. 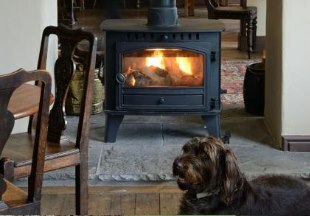 A 400 year old Lakeland Inn with oak beams, real fires and small, cosy rooms. Famed for our real ales and extensive menu of freshly cooked dishes, using local produce as much as possible. Situated in the middle of picturesque Elterwater village, with the magnificent Langdale Pikes as a backdrop, there are walks of every variety in all directions from the front door. Dating from around 1659, the String of Horses is a traditional coaching inn set in one of the most beautiful areas of Britain, near Hadrian's Wall, The Lake District and the Scottish Borders. It is situated only 10 minutes from Carlisle and Junction 43 of the M6 Motorway. With its oak beams and panelling, open fires and gleaming brassware, The String of Horses offers a warm welcome. Though acclaimed for its ‘yesteryear’ ambience, the inn looks after its guests in 21st century style, with great food, free Wi-fi access, digital TV and en-suite bathrooms in every room. 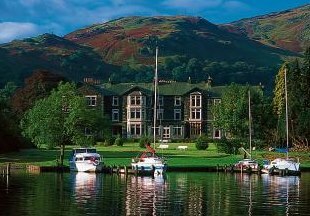 The Inn on the Lake enjoys one of the most spectacular settings in the Lake District, set in 15 acres of grounds and lawns sweeping to the shores of Lake Ullswater. The interior design compliments the outside panorama with beautiful lounges and 47 comfortable bedrooms. Our Lake View Restaurant has been awarded 2 AA rosettes. 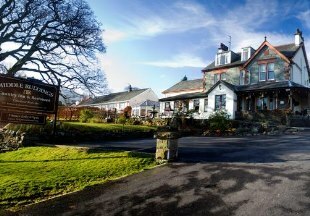 The Ramblers Bar, set in the hotel's grounds offers traditional Lakeland hospitality serving real ale and good food. Minimum two night stay on a weekend. 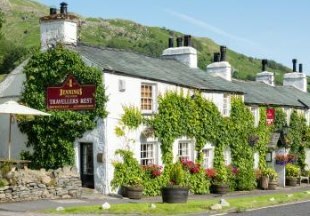 An original 16th Century coaching inn on the outskirts of Grasmere village, The Travellers Rest epitomizes the traditional Lakeland inn. Full of old world charm and character with oak beams and inglenooks, roaring log fires in winter and beer gardens with panoramic views in summer, comfortable bedrooms, real ale and award winning food. 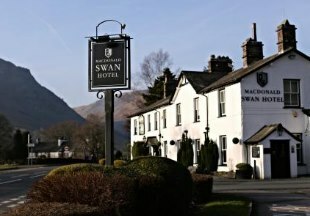 A 17th century coaching inn, the Macdonald Swan Hotel is one of the oldest hotels in the Lake District and was mentioned in Wordsworth’s poem ‘The Waggoner’. 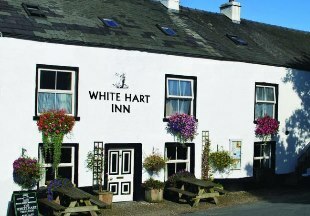 Nestled in the Cumbrian countryside with views over the fells and access to several challenging trails, this is a cosy and inviting hotel, ideal for walkers and cyclists. Situated in the unspoilt Western Lake District, the Old Ginn House Inn has been successfully converted from a 17th century farm into a charming hostelry full of character and modern facilities, built around an appealing courtyard. The feature bar is the Ginn Room itself, after which the Inn has been named. Part of the original farm, this unique rounded room offers an attractive seating area and a well stocked bar. With quality en-suite accommodation and excellent food served in the Inn’s atmospheric dining areas, the Old Ginn House aims to ensure you have a most relaxing and enjoyable stay. The New Dungeon Ghyll Hotel is located in the picturesque Langdale Valley, close to the bustling small town of Ambleside and situated conveniently for visiting many interesting areas of the Lake District. The Hotel prides itself on the cuisine served, the relaxed and friendly service it offers, as well as the excellent standards provided. All bedrooms enjoy the most dramatic of views and are en-suite with colour television and tea and coffee making facilities. The bright restaurant overlooks the patio and to the lawn with the Lakeland fells beyond. 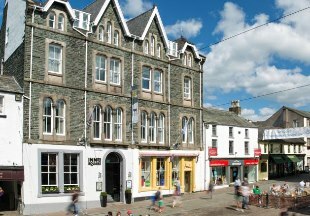 The Inn on the Square occupies a central location by Keswick’s market square. The hotel offers good food, traditional rooms and free Wi-Fi. On the edge of Derwent Water, the inn is just a short walk from the shops, pubs and restaurants of Keswick town centre. The bar serves bar meals and real ales. The public bar overlooks the marketplace, and features a real log fire. Some of the bedrooms at the Inn on the Square have views of the Lakeland Fells, Skiddaw and Borrowdale. 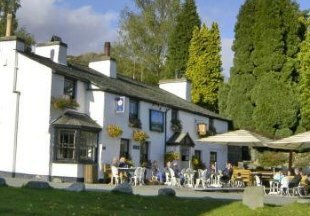 Built in 1872, the Three Shires Inn is situated on the south facing slope in Little Langdale, one of Lakeland's unspoilt areas, an ideal base for walking, touring and relaxing. We have ten pretty rooms with stunning fell views. 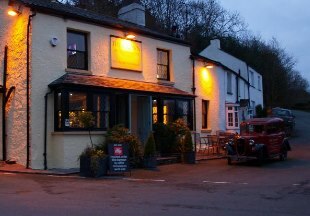 Log fires, traditional ales, superb food, excellent views and friendly service. In summer the verandahs and window ledges are covered with beautiful hanging baskets and flower boxes. AA 4 Star Inn. This newly refurbished former 17th century coaching inn overlooks Lake Windermere and offers the best in Lakeland luxury. 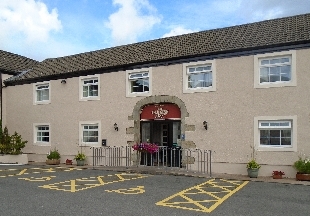 The hotel boasts luxuriously equipped bedrooms, a fantastic Italian restaurant or traditional Lakeland pub meals, a Spa with indoor pool, jacuzzi, and sauna, and a fitness room with latest equipment. A stunning lakeside location from which to enjoy the delights of the Lake District.. Originally an 18th century coaching inn, The Crown still retains many original features, from open fires to antique furniture. Situated just three miles from Lake Windermere, the hotel boasts elegant rooms, each with tiled en-suite bathroom and tea and coffee making facilities. The bar with its old oak beams and open fireplace, serves a range of drinks. 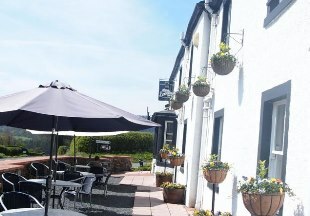 Outdoor seating is available in the garden overlooking the Lakeland fells. The Crown is a 10 minute drive from Junction 36 of the M6 motorway. Ravenglass is the place where the Lake District National Park meets the sea. This new luxury hotel combines the charm of a 16th century coaching inn with modern interior design, offering 21 high quality guest rooms, each with en-suite bathroom, flat-screen TV and multi-media system. Dining facilities include a brasserie-style restaurant, courtyard café and licensed bar. 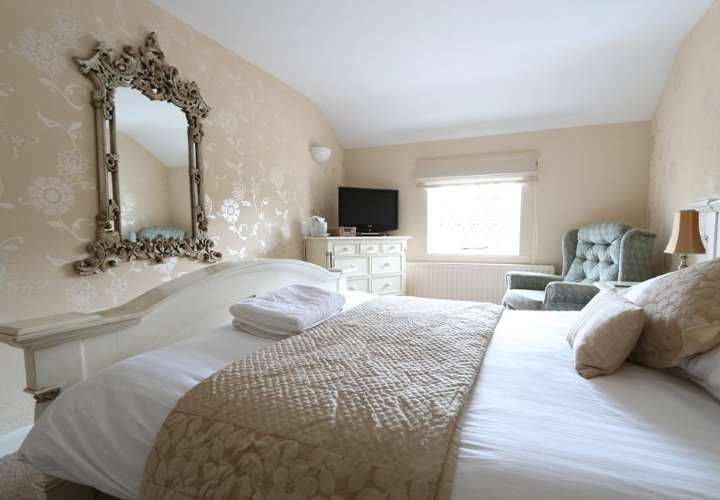 An historic coaching inn, today the Fat Lamb combines modern amenities with good old-fashioned hospitality, offering accommodation in comfortable en-suite rooms. The Fat Lamb enjoys a well deserved reputation for its good food, all lovingly prepared and cooked on the premises by our own chefs The scenery all around the Fat Lamb is quite simply fantastic, and we are an excellent base for countryside lovers andwalkers alike. 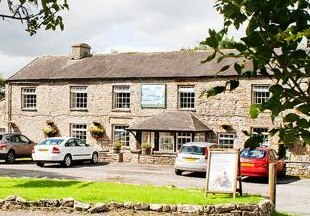 Situated in Ravenstonedale village, the Black Swan enjoys a lovely riverside setting and boasts elegant en-suite rooms, some with original features. 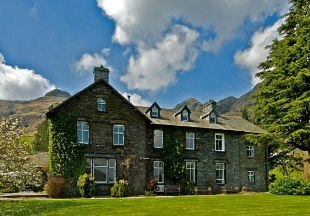 Award winning beautiful family run country inn situated in the Wasdale valley - close to Wastwater Britain's favourite view, Scafell, Great Gable etc., Muncaster Castle and the Ratty Railway at Ravenglass. Real Jennings ales, log fires, pets welcome, intimate Italian style Bistro, non smoking dining area, function room, real home cooked food, home from home for the tired business person and weary fell walker. Situated at the foot of Helvellyn in the heart of The Lake District, this former 17th Century coaching inn is surrounded by spectacular scenery with superb views towards Blencathra and Skiddaw. With award winning food served in two different restaurants, residents lounge, bar lounge and individually furnished rooms, The Kings offers a perfect base from which to explore this wonderful region. 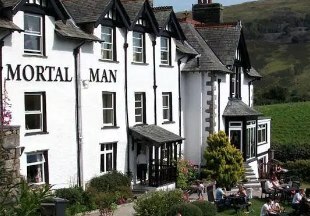 An established traditional Lake District Inn since 1689, The Mortal Man is located beneath the rugged fells of Troutbeck Valley, just outside Windermere and Ambleside. The en-suite rooms all enjoy wonderful views of the surrounding mountains, with most looking all the way down the valley to Lake Windermere! The restaurant offers menus that are packed with imaginative dishes, rich in variety and taste. All dishes are freshly prepared using the finest local produce to give you a true taste of Cumbria. This 17th-century Elizabethan inn enjoys a superb position in a peaceful Lakeland valley, just 1.5 miles from Beatrix Potter's former home. Refurbished in 2017, the inn has managed to retain many original features, combining these with contemporary touches to create a lovely warm ambiance. 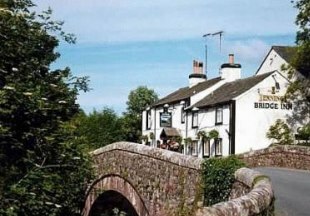 Situated in the beautiful little village of Wetheral just 5 miles from Carlisle, the Crown Hotel is an ideal base for exploring the Borders, Cumbria and the Lake District. Offering elegant accommodation, a fully equipped leisure club with indoor pool, squash courts and our own beauty room. 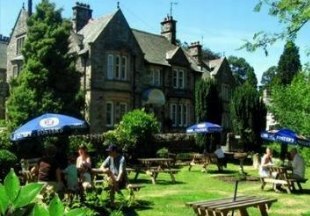 The Conservatory Restaurant and Walton's Bar both offer great food and drink including local specialities and real ale. The Lake District is one of the most popular holiday destinations in the UK and it's not hard to see why! With its stunning scenery and attractive lakeside towns and villages, the region has something for everyone. And it's not all about lakes; don't forget the beautiful coast, stunning Eden Valley and the lovely Cumbrian Dales. Although Windermere is perhaps the best known destination, other lakes include Ullswater, Grasmere and Coniston Water. 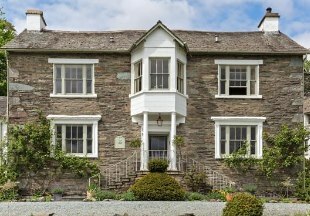 Cumbria is also rich in literary connections; visit William Wordsworth's birthplace in Cockermouth and also Dove Cottage near Ambleside which is now a museum. Children will love visiting 'The World of Beatrix Potter' at Bowness-on-Windermere. 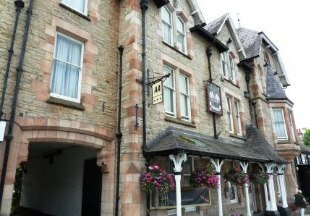 And where better to stay than in a traditional Lake District inn or hotel, right at the heart of the lakes! 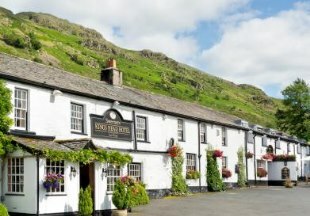 To plan your break, simply scroll down the page and browse our selection of hotels and inns in Cumbria. "Where to start? 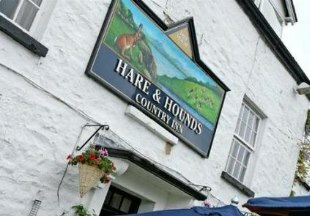 Country inns in Cumbria and the Lakes are famous for their warm hospitality, great food and ales. For keen walkers, perhaps somewhere like the Mortal Man Inn. For lake views, try the Brackenrigg Inn. Or relax and pamper yourself at the Tufton Arms..."
Cumbria is bordered by North Yorkshire, Northumberland, County Durham and Lancashire. If you want to widen your search, why not browse through our selection of hotels and inns in Yorkshire, Northumberland, Country Durham and hotels in Lancashire.